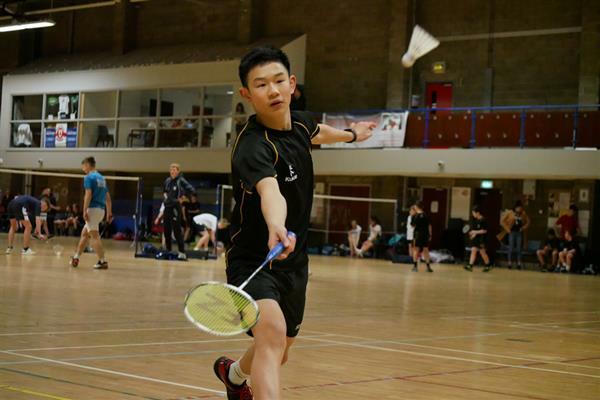 Badminton is a thriving racquet sport at RBAI. Our facilities provide four courts, there are two clubs for Junior and Senior pupils and boys of all ages regularly represent the school, competing in the Ulster and Irish Schools’ Championships. In 2019 six teams reached the Ulster Schools’ Finals. The Minor squad won the Minor Schools’ Cup and the Senior team won the U18 Division 1 Ulster Schools’ League and were runners-up in the U19 Irish Championships. Two students have also represented Ulster at U13 and U17 level in the Irish National Championships this year, winning titles in singles, doubles and mixed doubles. The School Badminton Club offers a great opportunity for pupils to participate and compete safely in this fun, energetic team racquet sport which can really bring out the best in any RBAI pupil.